Do you hold your cabinets closed with bungee cords or have two working burners on your stove (some of the time)? Are half of your drawers missing the front panel? You are sitting in the midst of a deteriorating kitchen. Kitchens get a lot of wear. Over time, cabinets and appliances begin to break down. At some point, an old kitchen will need a major remodel. This type of project normally involves pulling down the cabinets, removing the old appliances, and even removing walls and flooring start fresh. Do your cabinets remind you of your grandmother’s kitchen? Does the metallic 1970s wallpaper give you migraines? Is your burnt orange refrigerator even working? Your kitchen is outdated. Kitchens are one area of a home that shows its age easily. Even if it’s only been used minimally, an old kitchen will still look outdated after a certain period of time. If your cabinets are in good shape, you can resurface and update their look. 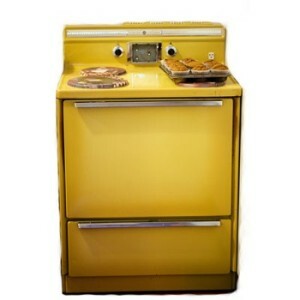 Replacing old appliances can also make a huge difference in the overall appearance. At some point, a major remodel is necessary. Among reasons to remodel your kitchen, an extremely outdated look is a major one. Is your refrigerator stuck in an awkward corner or even tucked into the pantry? Can more than one person work in the kitchen without trying to kill the other person? Your kitchen layout is awkward. In older homes, kitchens evolved in the space available. Back in the day, kitchens were often more of an afterthought. You needed some cabinets, a sink, and a place for a stove and a refrigerator. As appliances grew and more counter space became desired, the space got tighter and the layout became less functional. With layout problems, a major remodel is needed to take down walls and reconfigure the space. Is the kitchen completely cutoff from the living space? Do you go through a door to get to your kitchen from the living room? Is the only natural light into the space from a single window over the sink? Your kitchen is closed off from the rest of the house. Modern living is different than it was 40 or 50 years ago. Back then, the kitchen was not a part of the main living space. It was the place where one person (usually Mom) cooked the meals separate from the rest of the house. It was not a place for more than one person to work. A major remodel can really open everything up. Does your kitchen drag down the value of the rest of your home? Does your remodeled home have an outdated kitchen stuck in its midst? Your outdated kitchen is decreasing your home value significantly. Anyone walking through the house will look at an outdated kitchen and start deducting money from their offer to cover the price of a kitchen update. If you want to increase your home’s value, a minor or major kitchen update can make a huge impact. The more dated your kitchen space, the more impact the renovation will have on your house value. Of course, there are many other reasons to remodel your kitchen including improving energy efficiency, accommodating special needs, taking advantage of financial incentives, and accommodating the wish to have a gourmet kitchen. No matter why you want to remodel, this project will give you a sense of accomplishment.